Teosyal® Global Action PureSense, is the purest form of gel in its range that is injected into the mid-dermal layer. Teosyal® Global Action is a slightly stronger filler than both First Lines and Meso, and is recommended for the filling of moderate facial wrinkles. These commonly include glabellar lines - the lines formed that kind of look like a number ‘11’ when you frown - and perioral wrinkles – the lines formed around the lips. Both glabellar lines and perioral wrinkles are inevitable signs of ageing in most people, made worse in smokers and people who have been excessively exposed to UV and UVB rays. 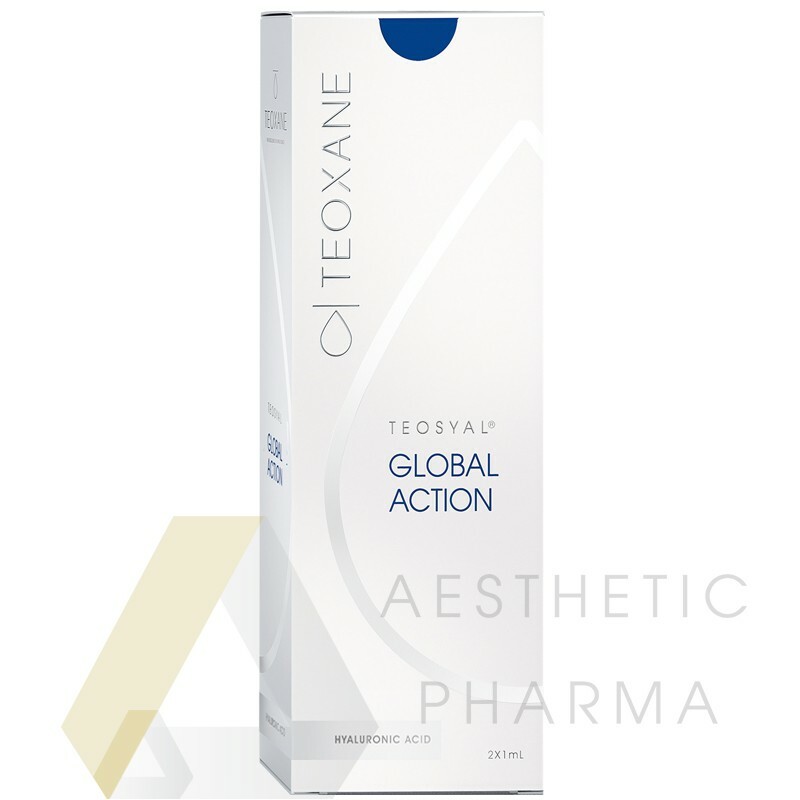 Clinical trials suggest the effects of Teosyal® Global Action PureSense last on average between 9-12 months. However there are many factors which determine the longevity of effects, including the individuals age, lifestyle and level of treatment required.